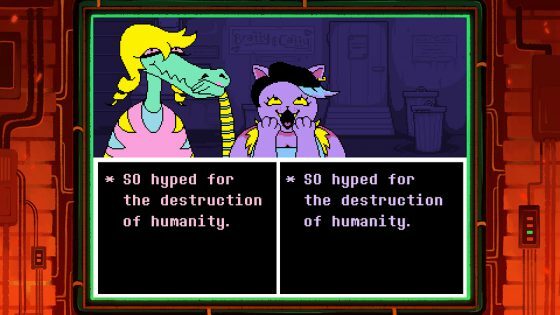 Influenced by such Nintendo classics as Zelda and Earthbound, indie hit Undertale has taken its sweet time making its way to Switch despite being an ideal fit for the system. We awarded the PS4 version a stonking 9/10 roughly a year ago, and as such, we’re more than pleased to see it finally reach a whole new audience. It’s as heartfelt as gaming gets. It’s an eventful week for the Switch, in fact. Nintendo’s hotly debated online service is now in full swing, bringing with it a selection of NES classics. Sadly, they aren’t without fault – there’s no control mapping or auto-save facilities. Fans of all things retro are better catered for elsewhere, with the first of SEGA’s AGES titles also making an appearance – Sonic the Hedgehog, which features the rule set from the often-forgotten arcade version, and the almighty Thunder Force IV. The amusingly titled Cyber-Lip is this week’s NeoGeo release, meanwhile. Hamster has also dusted off the arcade version of Excitebike. Bad timing, sadly – the original is one of the ‘free’ online NES titles. This version does at least have a few unique features. Then there’s the seven-game strong Capcom Beat’em Bundle, featuring two titles to never see a home release. Review scores are mostly clocking in at 7/10, with online issues being the major cause for concern. The incredibly well-received Velocity X2, Broken Sword 5 and the Reigns: Kings & Queens double pack also make the jump to Switch. As for new releases, there’s the childlike adventure The Gardens Between, the futuristic Trickstyle alike racer Hover (we all remember Trickstyle, right? ), and Little Dragons Café – a new venture from the creator of Harvest Moon. The full list of new releases can be found below, along with discount highlights and new pre-orders. There’s also a new release for New 3DS – the ever-popular Minecraft! 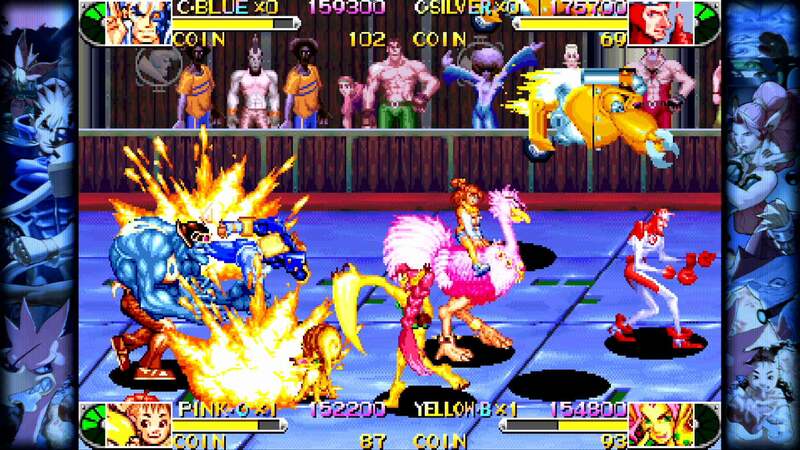 “CYBER-LIP” is an action game released in 1990 by SNK. The state-of-the-art scientific army computer CYBER-LIP has suddenly gone rogue! Use a variety of items and weapons to stop the slaughter of all humanity! In two-player mode, two people can work together to take out the target. Life Goes On is a comically-morbid platformer where you guide heroic knights to their demise and use the dead bodies to solve puzzles. Wanting to live forever, a mighty king sends his army of knights to find the Cup of Life. MagiCat takes players on a quest to retrieve a stolen artefact and explore the astounding magical worlds of the MagiCat universe. Using the powers of dashing, high jump, and fireball, along with items that can be unlocked as the story progresses, players must help MagiCat regain the world’s lost relic. Reigns: Kings & Queens includes both award-winning games Reigns and Reign: Her Majesty. Sit on the throne as a benevolent (or malevolent) monarch of the modern age and swipe your royal decrees to the left or right to impose your will upon the kingdom. Challenge friends and family to awesome and fast-paced arena battles. Choose between chaotic team matches and intense free-for-all fights. Dash and dodge bullet clusters in nerve-wrecking slow-motion moments. Use different surroundings to outplay your opponents and enjoy the colourful world of Retimed! Risk of Rain is an action platformer with roguelike elements. With permanent death as a primary feature, players will have to play their best to get as far as possible. Sonic The Hedgehog includes Mega Play, previously only available in the Sonic the Hedgehog arcade game. Familiar stages will feel new again as you race against time to the finish line. It’s a thrilling challenge for seasoned Sonic fans! The fourth instalment in the Thunder Force series from legendary game developer Technosoft! Battle against the Vios forces and fly as RYNEX in this side-scrolling shoot ‘em up that enthralled the world with its innovative ideas, beautiful pixel graphics, and a rocking soundtrack. 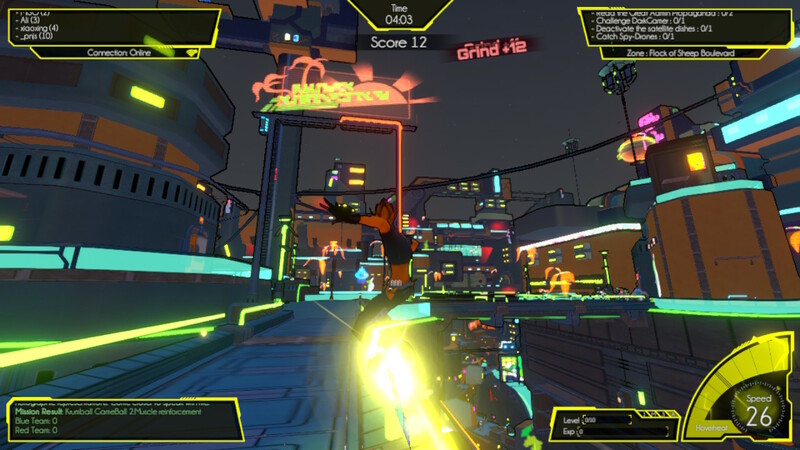 Velocity®2X blends two unique styles of fast-paced, frenetic gameplay into one incredibly fun and challenging SF experience. “EXCITEBIKE” is a motorcycle racing game released by Nintendo in 1984. In addition to solo qualifying races, there are final races where you face off against motocross riders. Each course has its own variety of obstacles. Use all your techniques to avoid the obstacles as you aim for first place. Paris in the spring. Shots ring out from a gallery. A robbery… a murder… and the beginning of another epic Broken Sword adventure. From multi-award winning Revolution comes the latest mystery in this much loved adventure-puzzle series. My Brother Rabbit is a beautifully drawn adventure set in a surreal world that mixes reality with a child’s imagination. A young girl faces a terrible reality when she falls ill. The little girl and her brother use the power of imagination to escape the hostile outside world. From Yasuhiro Wada, the creator of Harvest Moon, comes a new experience packed with delicious dishes, places to explore, magical characters and… a dragon’s egg?! It’s an exciting mix of ingredients that makes Little Dragons Café the tastiest game in town! Played on a magical clockworks game board, this turn-based multiplayer game* has real-time action and devious opportunities for misdirection, all in the pursuit of securing more loot than your opponents. A Case of Distrust is a narrative mystery from 1924 San Francisco. Play as private investigator Phyllis Cadence Malone in this historical 2D adventure game. Explore underground speakeasies, smoke-filled billiard halls, classic barber shops, and more. Built-in ranking system! Compete with users across the country over the coins earned in a game. The Gardens Between is an adventure puzzle game where you guide two best friends through a surreal world of mysterious garden islands. But you don’t control the characters – you control time. Scribblenauts Unlimited – Journey into Maxwell and Lily’s world as you use the power of your imagination to solve exciting puzzles in endless ways. Discover the story of Maxwell’s 41 siblings and create unique objects of your own to share online with your friends! Scribblenauts Unmasked: A DC Comics Adventure – Challenge your wits in an epic adventure against earth’s mightiest villains! Invent your own alter ego with the Hero Creator. Join your favorite DC Comics super heroes to explore iconic all-new locations like TITANS TOWER & BELLE REVE and restore order to the universe. Fall into the underworld and explore a hilarious and heartwarming world full of dangerous monsters. Date a skeleton, dance with a robot, cook with a fishwoman…or destroy everyone where they stand. The future is yours to determine! Welcome to Omvorm! The first puzzle game from indie studio 4MB Interactive and our debut on Nintendo Switch! Omvorm is a fast-paced shape shifting puzzle game that requires quick reactions and calmness under pressure. High school girls + Japanese swords! Enter the arena, take on a swarm of enemies and leave none standing in this action-fuelled indie game.